Bellary is an important and major district in the state of Karnataka. It shares its boundary with Raichur district in the North, Dharwad district to the West, Chitradurga and Davengere district to the South and towards the East is the state of Andhra Pradesh. Kannada is the official and the regional language spoken. The city has many iron and steel industries other than the famous Bellary fort to visit. The city is jammed between two granite hills known as Ballari Gudda or the fort hill and Kumbara gudda or face hill. There are many places to visit in and around Bellary. Bellary also known as Ballari is a historical place. Many kingdoms who ruled the city include Hoysalas, Kadambas, Satavahanas. There are many stories behind how Bellary got its name one of the story says that the city got its name when Lord Indra killed demon and another story is that a merchant who was travelling took some rest in Bellary. Since he could not find Shiva Linga to worship he took measuring cup or balla (seru in kannada, means measuring cup) and kept it upside down to worship. Later that place turned into a temple known as Balleshwara and hence Bellary got its name from this temple. In Kannada Bellary was also called as Vallari or Vallapuri. 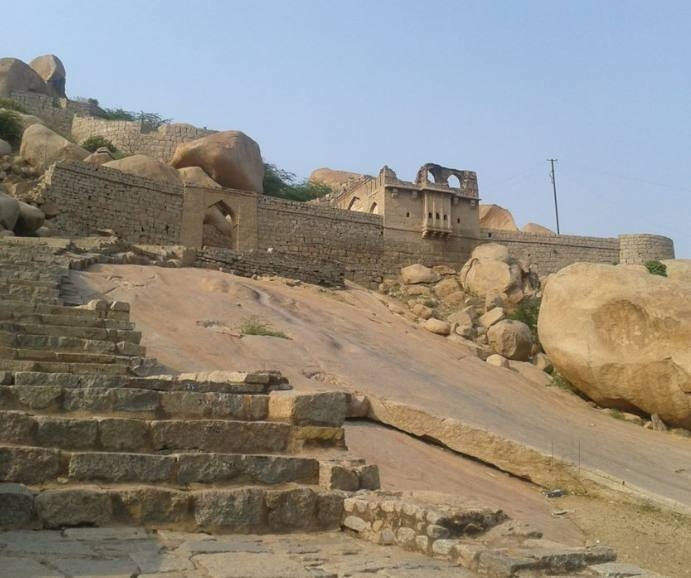 One of the major attractions in Bellary district is the Bellary fort. The fort was built around 3000 years back during the time of Vijayanagara Empire. The fort was constructed by Hande Hanumappa Nayak who was a feudatory to the Vijayanagar Empire. The fort is being built on a monolithic rock. The fort has two parts the upper part of the fort was built during Vijayanagara period and the Lower Fort was built during Hyder Ali period. Both the part is known in different names. The upper fort is known as Fort Hill and the lower is known as Face Hill. It is called as face hill as some of the rocks in the lower fort resembled the face of human beings. The upper part of the fort has citadel which is at a height of 1976feet. It is quadrangular in shape. Citadel includes many structures pools many buildings and cisterns. There is good water supply from the reservoirs constructed between the split of the rocks. Above the citadel there is a small temple and many deep pools of water. However the path is very rocky and has huge boulders which are very strong and secure. The main turret (a small tower on the top of a large tower) on the eastern side has huge mural (a piece of artwork painted directly on the wall or ceiling) of Indian flag. The lower fort is located at the eastern side of the rock. The lower fort has two entrance one on the west and the other on the east. On the eastern gate is the temple of Hanuman known as Kote Anjaneya temple. Kote is a Kannada word which means fort. Previously many people took shelter in the fort. British added many buildings like Church orphanage and other public buildings were constructed. Even now the lower fort has many public buildings like temples, churches and educational institutions. The view of the Bellary city from the top of the fort is magnificent. Every Sunday, national and public holidays Bellary fort gets illuminated making it more special and beautiful. Bellary fort and town has some interesting history. The city was ruled by many dynasties like Mauryas, Chalukyas, Kalachuryas, Sevunas, Hoysalas and the Vijayanagara Empire. The region had political change until British took control of the fort and the region in 1800 AD. In 1761 the fort was under the control of Basalat Jung of Adoni. The local Nayaka took the help of Haider Ali to oust Adoni fort. The chief of Nayakas had refused to pay any money to Jung and hence took help of Haider Ali of Mysore. Haider defeated the Adoni’s and in the year 1769 captured the fort. He renovated and constructed the lower fort with the help of French engineer. It is believed that Haider Ali killed the French engineer as he miscalculated the height of the fort. 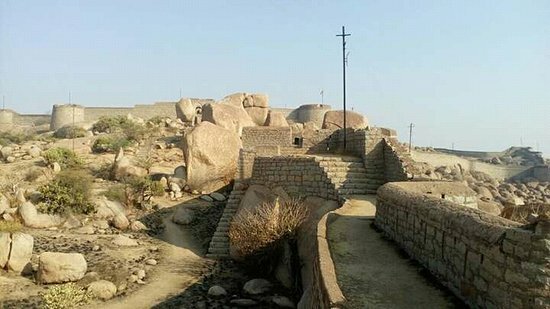 The fort was made visible from the hill called Kumbara Gudda. The grave of the French engineer is found on the east gate. However the natives believe that the grave is of the Muslim saint. Later after the defeat of Tipu Sultan in Third Anglo Mysore war at the hands of British, the British took control of Bellary and fort. The territory was further divided by British and the fort was handed over to the Nizam Salabat Jang. With the death of Tipu Sultan in fourth Anglo Mysore war, the territories of Mysore were further divided between Wodeyars, Asaf Jah II and the British. The history of Bellary fort and the district is very interesting to read and understand. There are many places to visit in Bellary. Some of them are Kumaraswamy temple, Kuntegadda park and Kaategudda park, Tungabadra dam and the most important place near Bellary is Hampi which is a must visit place. 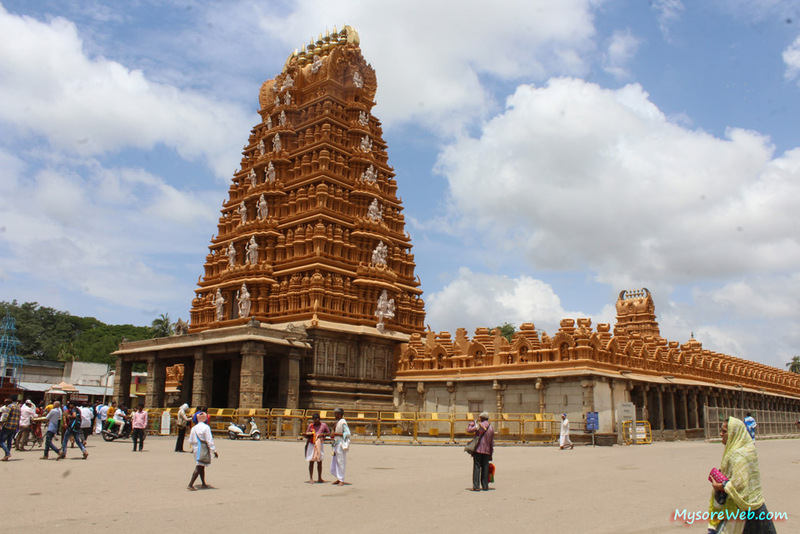 It is around 75km from Bellary is known for its architectural buildings and temples. Many Neolithic sites have also been discovered in Bellary like ash mounds at Sanganakallu, Budhihal, Tekkalakote,Hireguda and Kupgal. Enjoy the unique food of Bellary and the good climate of the district. By air: There is a civilian airport in Bellary. Aeroplane from Bangalore and Goa operate regularly to Bellary. One can take a flight to Bangalore and take flight from Bangalore to Bellary. By rail: The city has two railway stations built during British rule, the city station and the cantonment station. There are plenty of trains connected from different places to Bellary district. By road: Bellary has well connected road facility. There are many buses from different parts of the places. Bangalore is around 310Km. it s well connected through Bangalore. One can take a cab as well from Bangalore and drive down to Bellary.